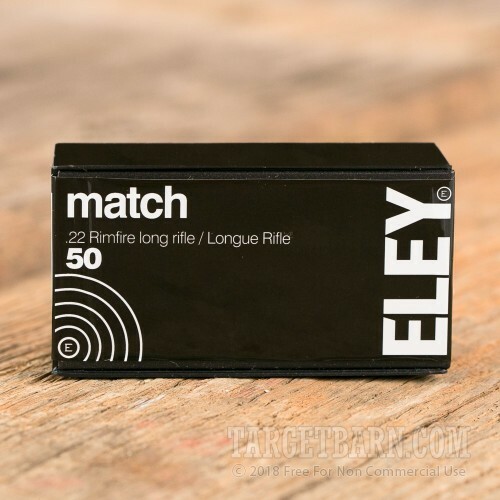 ELEY rimfire ammunition is a top choice among Olympic medalists and other top tier competitive shooters thanks to its incredible accuracy and reliability. 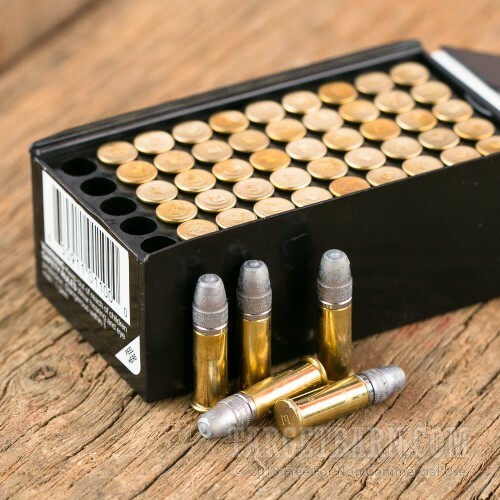 These .22 LR cartridges come in boxes of 50 and fire a 40 grain lead flat nose bullet at 1,085 feet per second, putting them in the "standard velocity" category. 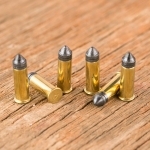 Standard velocity rounds do not break the sound barrier and possess excellent inherent accuracy. They also work very well with suppressors. 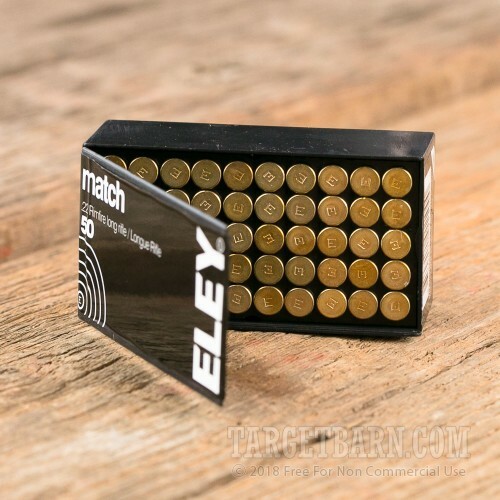 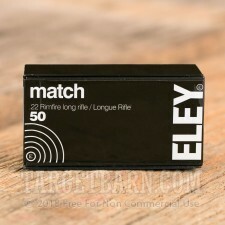 ELEY ammo is made in the British city of Birmingham using rimfire primed brass cases.